I’ve been looking for something to protect my garden beds for a long time. I definitely want to avoid any commercial stain due to the many toxins present. Should be applied after hemp oil application. 1. Fill a measuring cup with one cup of your chosen oil. 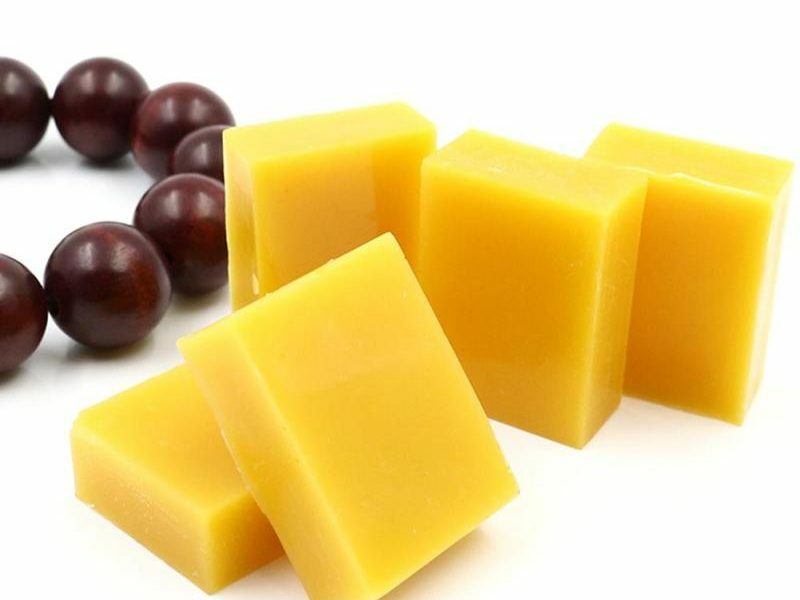 Use a cheese grater and shave your beeswax or pound it into bits with a hammer. Add beeswax to your measuring cup until it reads 1 and 1/4 cups. This means you’ve added 1 cup oil and 1/4 cup beeswax. 2. Next, you need to melt the beeswax. Heat in the microwave or in a double boiler on the stove top. Stir it around and make sure all the beeswax is fully melted and dissolved. Suddenly, the beeswax melts and your mixture will look just like a liquid oil. 3. Pour it into a container with a wide enough opening for stirring. As the mixture cools, you’ll need to stir it every once in a while to prevent it from separating. It will cool down and thicken around the edges of your container first, so scrape the sides. Stirring just a few times over a couple hours is enough. 4. Once fully cooled, use it. Wipe off the excess with a cotton cloth.